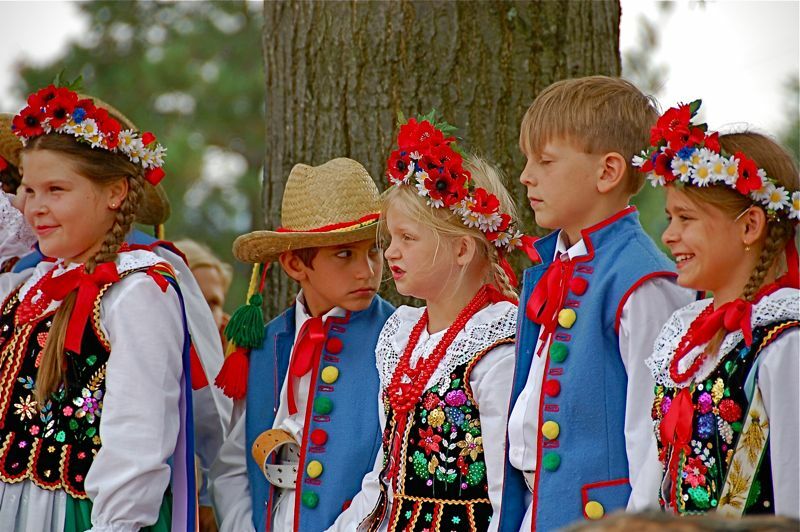 At the Polish American Festival, the children of the Maki song and dance group performed. This is just a few moments before the music began. The boy with the hat looks like he is looking for a way out and the other boy looks as though he thinks that if he closes his eyes it will all go away. The girl between them doesn't look too excited about having either of them as a dance partner. AHHHH, boys and dancing!